The ONLY skateboard and longboard shop in Montréal. Rollin Boardshop is the skateboard/longboard destination to go in eastern Montréal. 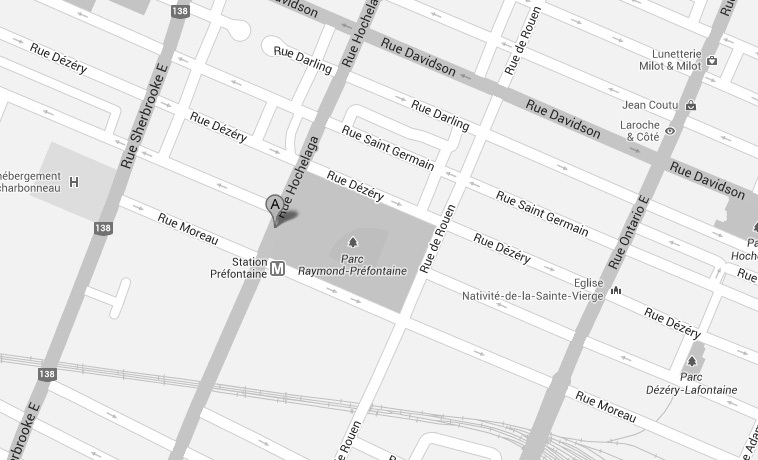 Situated on Moreau corner of Hochelaga. The skateshop is right next to the Préfontaine metro station, one push away from the Préfontaine skatepark and its famous banks. We are a true core shop, you'll feel it as soon as you come in. We keep it real! If you are a hungry beginner or a truly experienced skater, or even a fashion victim, Rollin is the place to be. Come see us to live the experience or if you prefer feel it at home or on the go with our online store and services. We have a large hardgoods inventory, skateboards, longboards, trucks, wheels, bushings as well as all the hardware you need to satisfy your riding needs! Moreover, we have more than 15 brands of shoes and clothes. We are always available to answer your questions and help you make the right choice for your needs. See you soon! As a kid I dreamed of opening my own skateshop. Being a resident of Hochelaga-Maisonneuve, I felt the need to contribute to my community. Opening a core shop where people of every age, younger or older, would find a place to belong and a place that would provide all their needs to perform skatewise was such a dream. It's during summer 2010 that my need to create this place became too strong to ignore. But where was the ideal place for this project? At first I though about Ontario street where lots of people shop, however I felt it was too far from the skatepark and I wanted the riders to be able to just stop by. So the project was a no go until such a place would free itself. The idea was pushed away from my mind because it could have been months or even years before I could find the right spot. However the skate God decided otherwise because the following day, at the corner of Hochelaga and Moreau appeared a "for rent" sign. Four corners, one for rent, one occupied by a PFK and the two others by the Préfontaine metro station. As I got out of my car to write down the phone number of the owner, I could clearly hear the boys skating the ramp at the skatepark across the street. I contacted the owner which was thrilled at my idea of having a skateshop. Two days later the lease was signed and we were already at work. The first time I set foot inside our new home I was speechless. Old moldy carpets, semi-fonctional electricity, numerous holes in the walls... Was this really going to happen? Would I be able to turn this into my dream skateshop? I guess you already know how it turned out but it was only with the help of numerous friends, family and with several companies that we were able to pull it off and create the real core shop that you know today. A big thanks to everyone who lent a hand at that time and those who still do today. Without all of you Rollin would just not be.